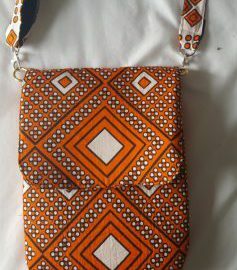 Hand made bags – as seen or bespoke. The process and the product. Left over material = opportunity for tiny bags so I made up a couple of extras to join the giant tote that I made for my friend. She isn’t expecting these so they are freebies for her.